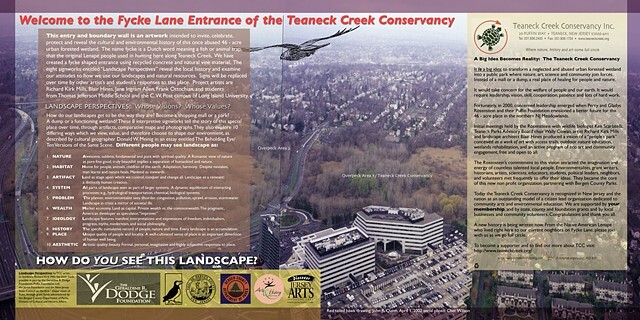 First in a series of eight signworks narrating the cultural and environmental history of the northernmost reach of the Hackensack Meadowlands known as the Teaneck Creek Conservancy. from Thomas Jefferson Middle School and the C. W. Post campus of Long Island University. Division of Cultural and Historic Affairs.